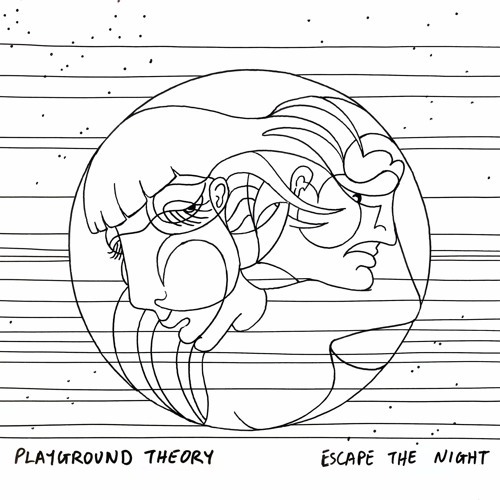 Release Date: October 13, 2017 Artist: Playground Theory Title: B side of the digital single "Escape The Night" Formats: Digital release (i-tunes, Google Play, Spotify, Tidal, Deezer and other links available on Oct. 13, 2017) "Escape the night" is the first single (digital only release) out of Playground Theory's forthcoming album "Tears Go Upwards" which will be released later in the season. The single forshadows the sound of the album to come, which will be more electronic (and possibly less dream pop) than their two predecessors "Connect the Dots" and "Speaking of Secrets" (also on Puzzlemusik). The single features a "b-side" in the old, still beloved, 7'' single manner. A remix of the title track, by Fading Soul. The remix will not be included in the album (which will be released in digital and cd formats).